Microfestivus ’12: A Day Fitting of the Festival’s Fifteenth Anniversary. Heading Out To Microfestivus? Let’s All Find A New Favorite Today. 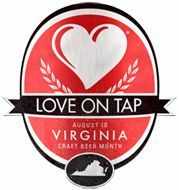 Microfestivus And Virginia Craft Beer Month: Perfect Timing. Getting Excited About Microfestivus Yet? How About A Festival Primer?